Since our July community update, when we announced the acquisition of Identity.com and our open source rollout, we are continuing to execute on our Roadmap and take steps towards our bigger vision: to make a digital identity a reality for more people worldwide. 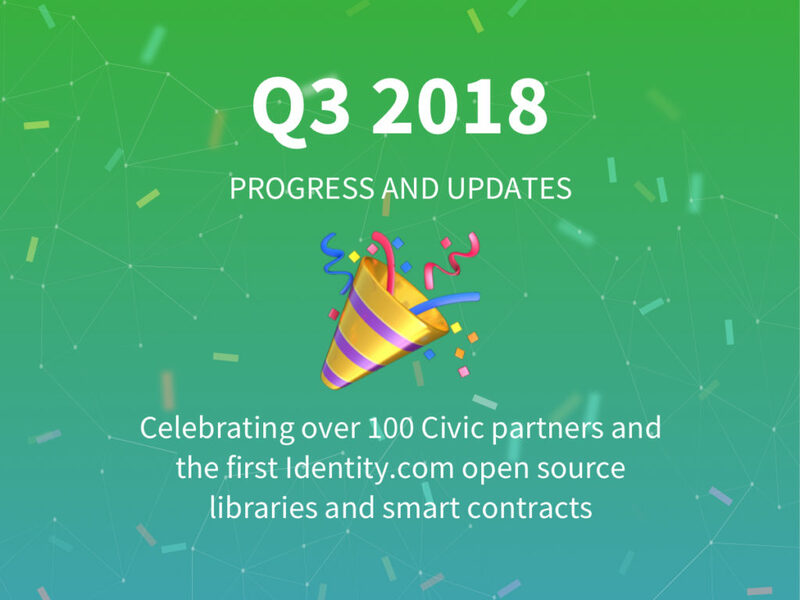 Over the past three months, we have continued to build momentum around Civic and Identity.com. Take a few minutes to learn more about what we’ve been up to. We announced in July that Identity.com will be open-sourced, and at the end of September, we announced our first two open source libraries and first five smart contracts for Identity.com. These libraries and smart contracts represent the first step towards creating the foundation for the Identity.com marketplace and creating the toolkits to make it easy for marketplace participants to seamlessly integrate. This underscores our commitment to building Identity.com with standards that ensure interoperability. Identity.com is well on its way to becoming a global identity platform, where people have control over when and where they share their personal information. The Identity.com ecosystem will enable any organizations that need to verify identity and any organizations that need to validate identity to leverage cutting-edge, blockchain-powered technology that makes identity verification accessible, cost-effective, and secure. We surpassed 100 partners in September, and we brought on 39 partners in the past three months, thanks to a great mix of marketing and business development. It’s exciting to see our partner ecosystem continuing to expand so rapidly, with more use cases going live every month. With the Civic App to App integration coming soon, this pace is likely to accelerate. Brave: We are collaborating with Brave to provide Civic’s reusable identity solutions to over 21,000 Brave-verified publishers, helping publishers verify their identity and receive tokens without sharing unnecessary data. 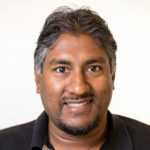 Rivetz: With Rivetz, we’re working to incorporate Rivetz hardware-based mobile security solutions with the Civic App to ensure that identity information is protected by an additional layer of hardware security. Paragon: We partnered with Paragon, a blockchain company that develops seed-to-sale tracking solutions with the marijuana industry to bring identity verification services to Paragon’s digital community, bolstering compliance with the platform’s age regulations. We announced our first campaign with CVC incentive tokens. During our token sale, we allocated one-third of CVC tokens to share with partners with the purpose of activating our network when the time was right. 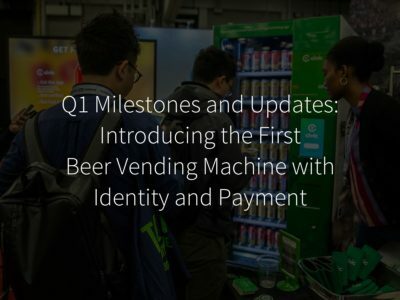 After reaching 100 partners and seeing positive implementation and real-life uses cases, like the crypto beer vending machine, we decided to use these tokens to give more companies the opportunity to try our reusable digital identity solution, risk-free. If you’re interested in learning more about Civic Libre and trying Reusable KYC for free, learn more here. App to App: We’re starting to onboard customers that need App to App integrations. We have heard from the community and our partners loud and clear that the ability to use Civic identity verification technology through a native app is huge, so we’ve been working to make that a reality as quickly as possible. Stay tuned for exciting updates! KYC Usage Dashboard: We introduced an intuitive new dashboard in the Integration Portal, where our partners will get insight into their usage of paid transactions. 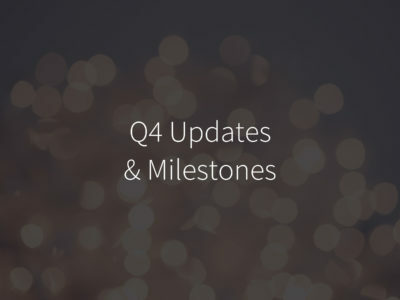 Meta Roadmap Update: Moving forward, all our Roadmap updates will live on Identity.com. Since our token sale, the Roadmap has been focused on creating an underlying infrastructure for the Identity.com ecosystem. Identity.com is designed to be governed by CVCs, so these updates are now consolidated on the Identity.com Roadmap. Simplifying Transactions (Q3 2018): Validators will be able to set prices at fiat rates, and Requesters will be able to purchase CVCs with fiat currency on external exchanges, but all identity verification transactions will be in CVCs. We’re really excited about the direction Civic is headed. Identity.com is coming to life with more libraries and toolkit components scheduled to be open sourced in the coming weeks. Our partner ecosystem is continuing to grow. We’re incentivizing Know Your Customer (KYC) verifications until the end of the year and giving people the opportunity to leverage innovative blockchain technology, and we’re continuing to deliver products updates that are going to be most impactful for our partners. If you want to read more about Civic and what we’ve been up to, check out the links below. 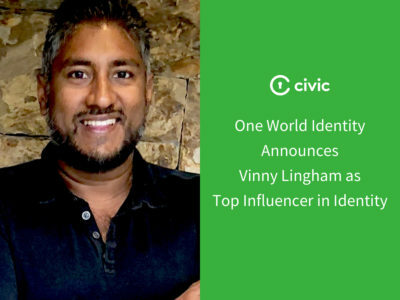 Civic was named a Top Blockchain Company by One World Identity. Check out the report, Blockchain and Identity in 2018”: A Year of Promise and Pilots, to learn more. Civic was recognized by Gartner as a Cool Vendor in Blockchain Technology, along with our new partner Brave. Civic was featured on several podcast, including Fintech Insider, Humans of Bitcoin, Oracle’s Analytics Drilldown Podcast, and Village Ventures Stories. Civic was featured on Cisco’s Technology News Site: The many applications for blockchain.